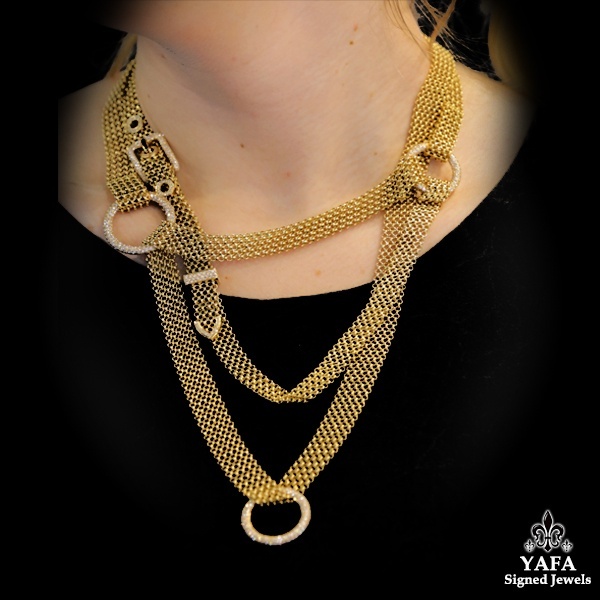 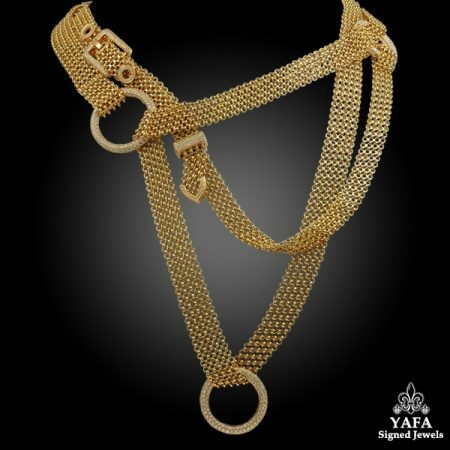 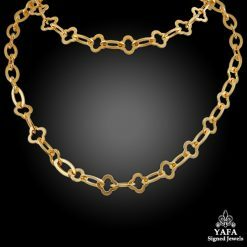 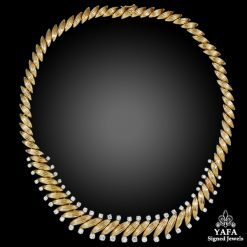 A magnificent and extremely rare piece by Hermes, designed to be worn separately as a necklace and bracelet or together as one long necklace, this exceptional set is comprised with 18k yellow gold, brilliant diamond embellished links and buckle. 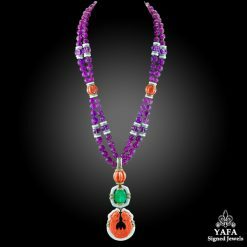 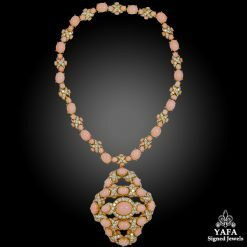 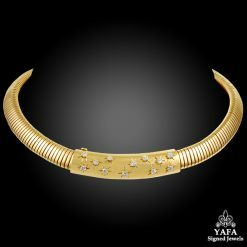 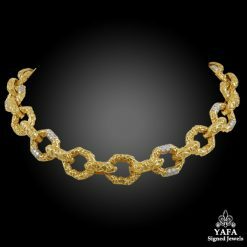 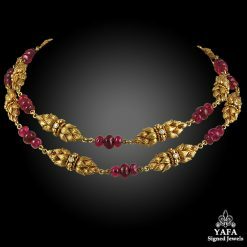 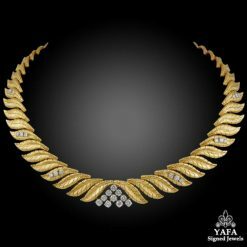 The necklace is comprised of over 8 carats of diamonds, and the bracelet 3.50 carats. 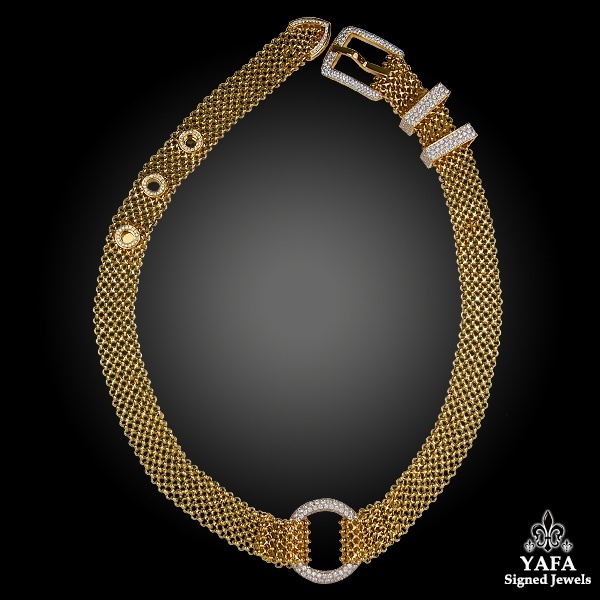 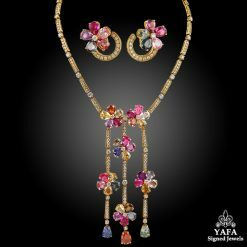 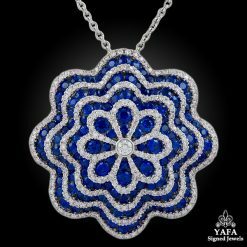 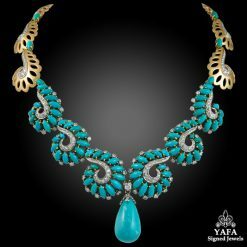 A strong and stylish statement piece by an eminent fashion house.